Are you the parent that wants to feed your kids a healthy breakfast, but you don’t know where to start? Maybe your kids eat way too much sugar-laden cereals, poptarts, and toast. Or maybe you already do feed your kids a healthy breakfast without much sugar, but they are getting tired of the same ole’, same ole’ day after day. Are you stuck in a rut? 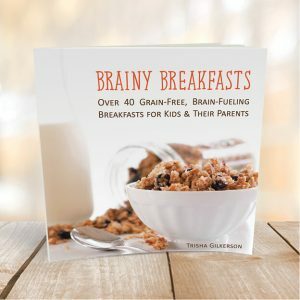 What Makes These Breakfasts “Brainy”? The vision behind Brainy Breakfasts was to create a resource you can use to make delicious, brain-fueling breakfast options for your family. Breakfast-eaters consistently academically out-perform non-breakfast-eaters. High-carb breakfast content negatively impacts test scores. Lack of protein in breakfast correlates with low school performance. The most important components of a breakfast that supports brain function and neurotransmitter activity include: protein, fat, B vitamins, iron, choline, and antioxidants. We sought out to create recipes that fit these criteria. These recipes include nourishing ingredients like eggs, walnuts, coconut, spinach, and more “brainy” foods! 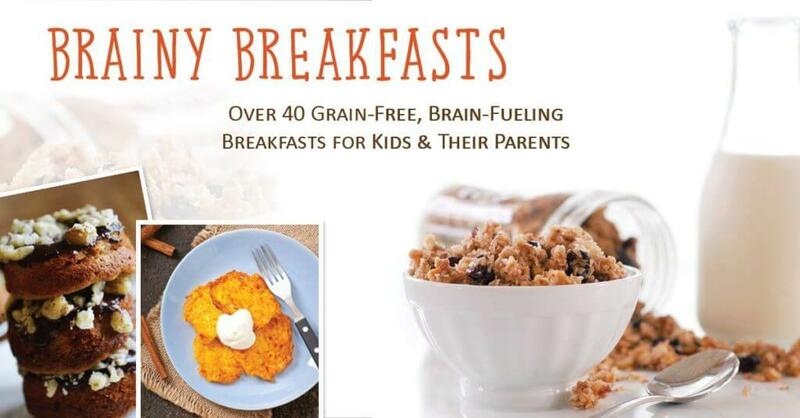 What Kind of Recipes Will You Find in Brainy Breakfasts? You’ll find recipes of all sorts. Some take some preparation, some you can make ahead, and some are easy to throw together for a quick morning breakfast. And other fun breakfast options! 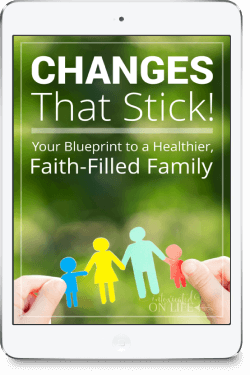 Also included in the beautiful full-color digital book are printable recipe cards and and easy-to-print simple black & white PDF for your convenience. You are sure to find some recipes even the pickiest of kids (and parents) will enjoy! 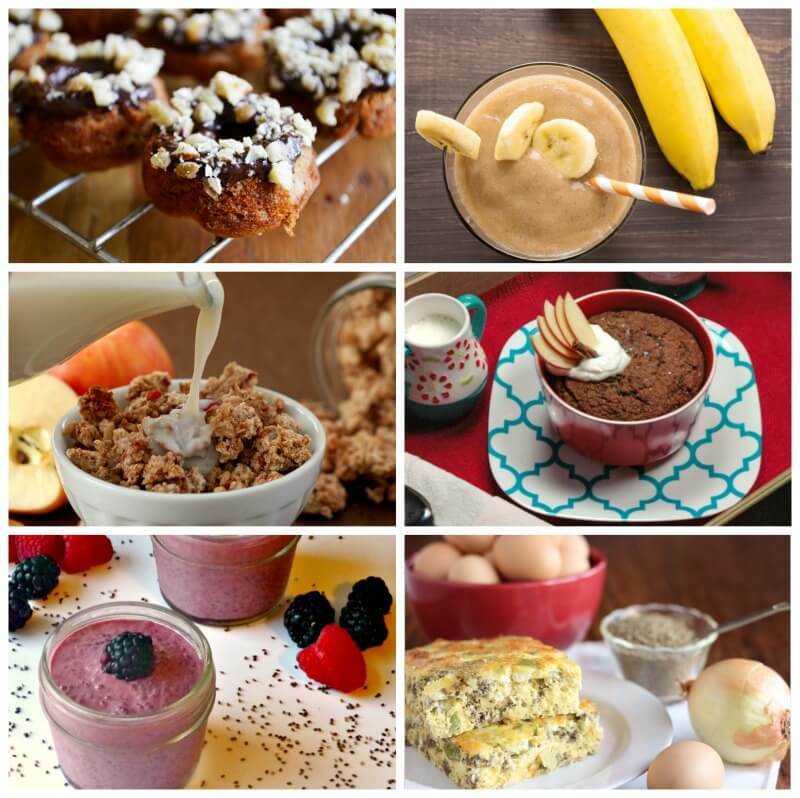 Are you ready to learn how to incorporate healthy ingredients into your breakfast routines? Brainy Breakfasts is available in digital and paperback.